Welcome early summer with fragrant 5-7" double, carmine red double blooms. 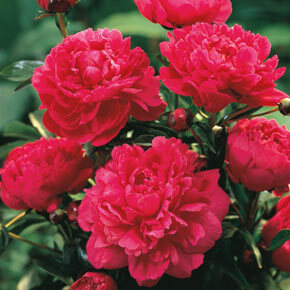 Growing 2-3' tall, this impressive peony looks great when planted as a hedge or specimen in the landscape. Its dark shiny lobed leaves look lovely even after the blooms are gone. Plant in full sun to partial shade. 2-3 eye division. Paeonia lactiflora 'Kansas' Deer tend to avoid. Winter Care: None, except to mulch the first winter. Remove early in spring before new growth starts. Flower Form: Large double flowers 5-7" across. 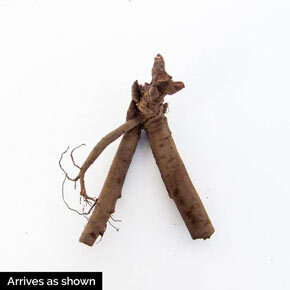 Foliage Type: Dark shiny lobed leaves with strong stems. Soil Requirement: Likes fertile conditions, use well rotted manure with planting mix.